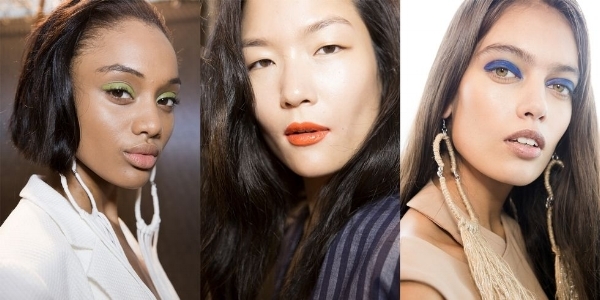 We scoured the runways for the best upcoming beauty trends of 2018. Here's our top 5 beauty looks- will you be trialling any of them this summer? Keep hold of your old mascara- clumped lashes are in! 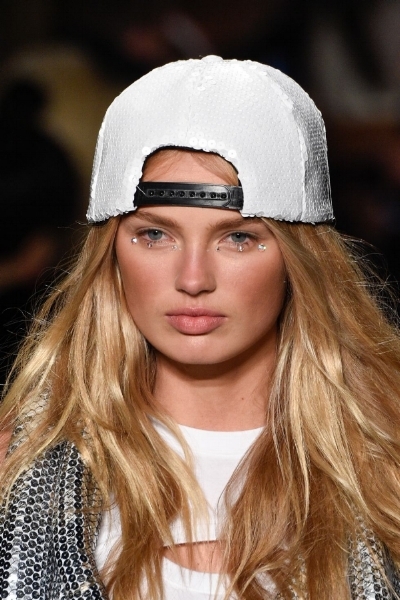 Team with a glossy eye and you'll look fresh off the runway! If you're a fan of everything that glitters, you'll be pleased to see that gem stones and glitter have made it onto the runways yet again. This time however, beauty looks to hit the runways were surprisingly wearable, such as the above runway look by Jeremy Scott, where carefully placed gems accentuate the eyes. This is a look we will certainly be taking to Ibiza with us! Graphic liner is a look which comes back season after season, and has been made much more widely accessible following the increased trend in festival make-up trends. This look is from L'Oreal Paris, and combines feathered brows and fresh, dewy skin. Just when we had filled our make-up bags with every kind of matte-finish lip product on the market, gloss makes a comeback... The glassier the finish, the better!